Brand new storm and sanitary sewers are leaking water at an unacceptable rate, putting individual homes at higher risk of flooding, a civil engineer said last week at the CatIQ Connect conference in Toronto. One litre per second of clean water is costly to treat each and every year for the life of the sewer, which could be up to 75 years. Robinson said she is seeing more than 50 subdivisions in Ontario that are leaking unacceptable water into the sewer on Day 1; some 10 to 15 litres per second of clean water, a “conservative” estimate. “That’s leakage that’s 24/7 all day every day,” she said. “Never mind the response to rainfall that is more directly associated with flooding. This kind of leakage is also associated with flooding – the more water you have around, the higher the risk of flooding.” Every drop of clean water that enters a sewer on either side of the property line puts individual homes at higher risk of flooding. The Government of Canada notes that urban flooding alone “has been a growing problem, resulting in more than $20 billion in flood damage over the ten-year period between 2003 and 2012.” Canadian property and casualty insurers have been spending about $1 billion each year for catastrophic events, several of them flood-related. Robinson was speaking at a session titled Codes & Standards, which heard from panelists about the Canadian codes and standards network and how they are developed. She noted that building codes were not originally designed for sewers. Rather, “sewers were added later in the process and it’s quite silent on how to lay a sewer in the building code.” On the other hand, the underlying standard is quite perspective on how to lay, test, compact and camera the pipe. Municipalities also tend to work in silos. For example, the building and engineering departments tend to have completely different standards. Building departments work under the building code, while engineers never learn about the building code. Education across silos is essential, as is improving practices around inspection, testing and approvals. 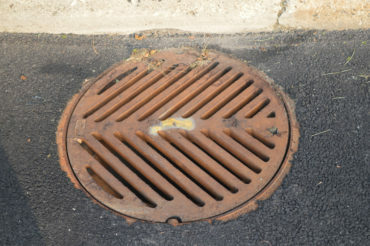 Codes can also be updated to reflect the latest findings about leaking sewers.